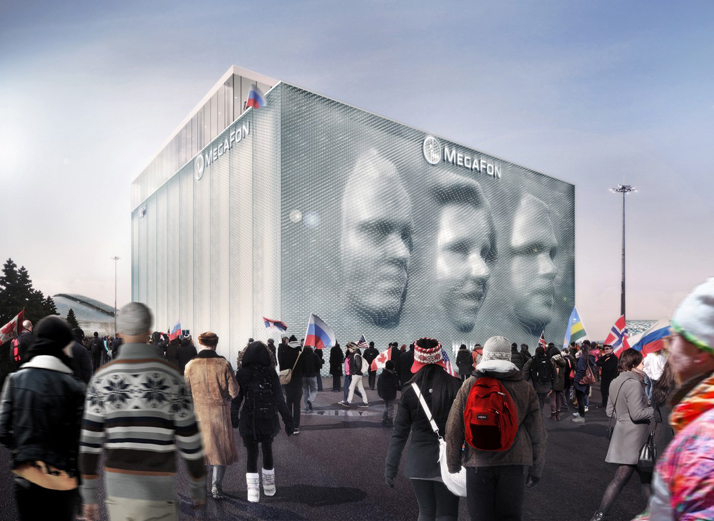 The project name "MegaFaces" is about giving the opportunity to be the face of the Olympics. 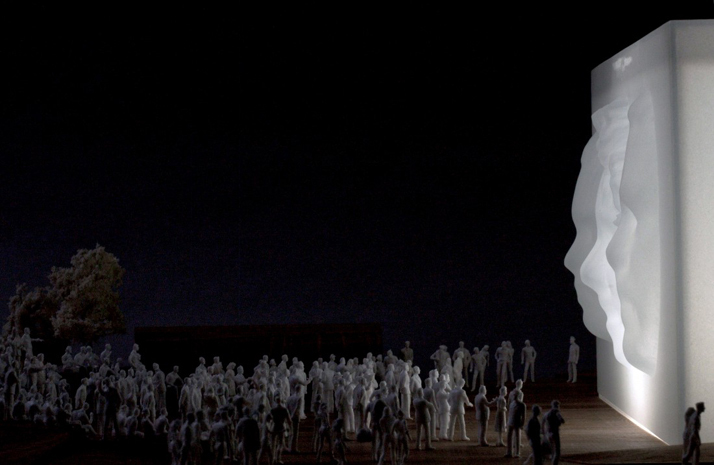 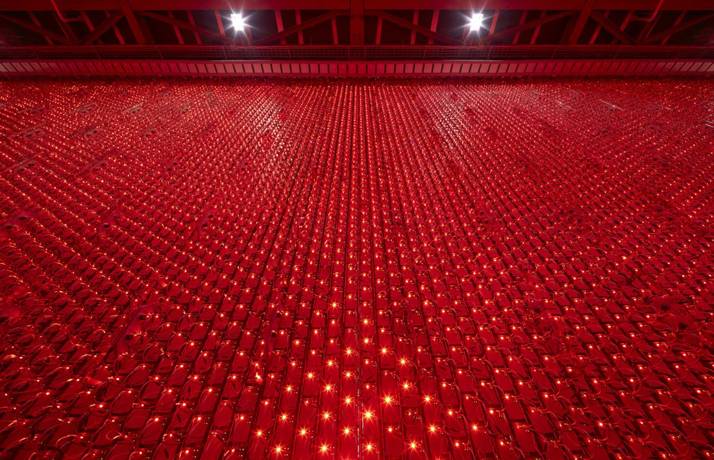 MegaFaces is a kinetic facade conceived by Asif Khan and engineered by kart. 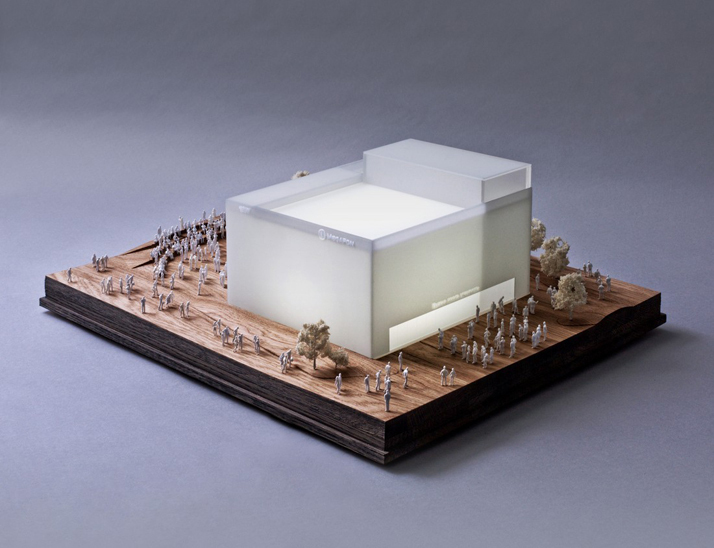 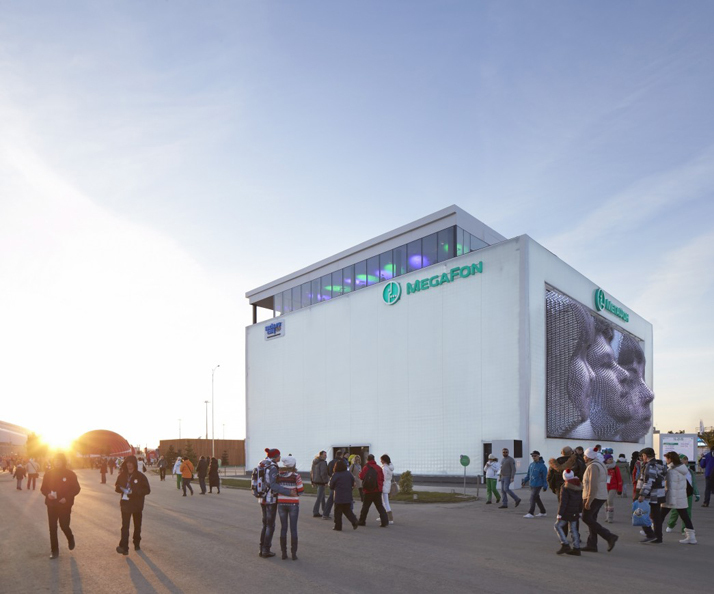 The design of a 2000 sq.m pavilion and landscape for MegaFon, one of the largest Russian telecoms companies and general partner of the Sochi Winter Olympics. 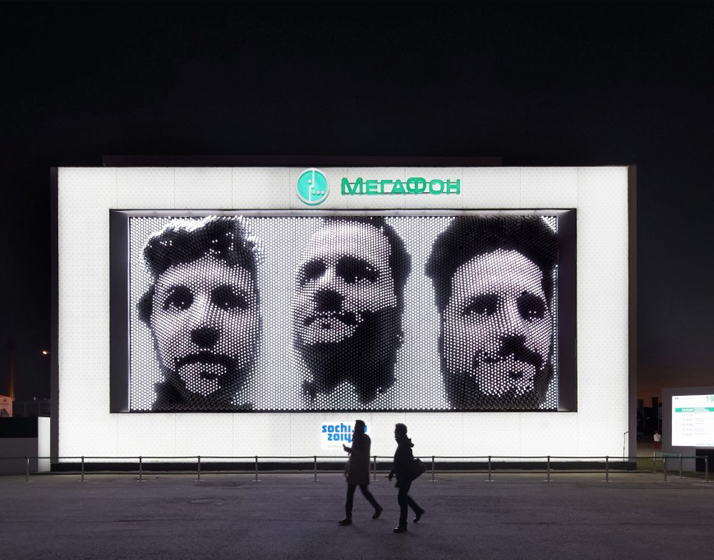 3D photo booths within the pavilion and across Russia in MegaFon retail stores will scan visitors’ portraits to be recreated by the pavilion. 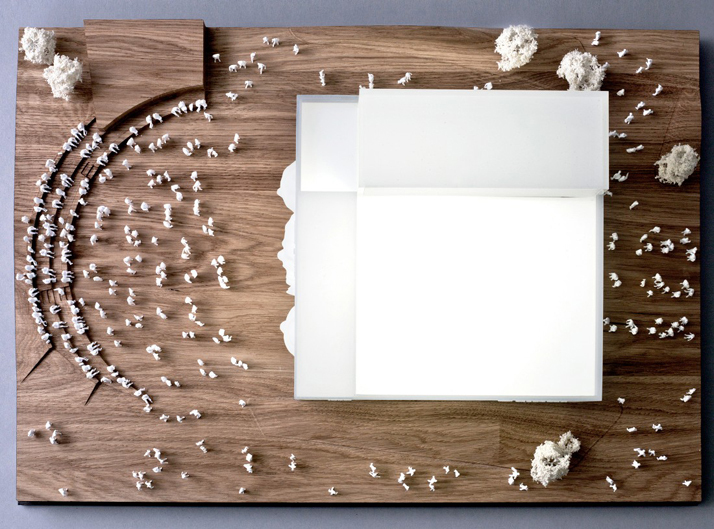 It's facade is designed to function like a huge pin screen. 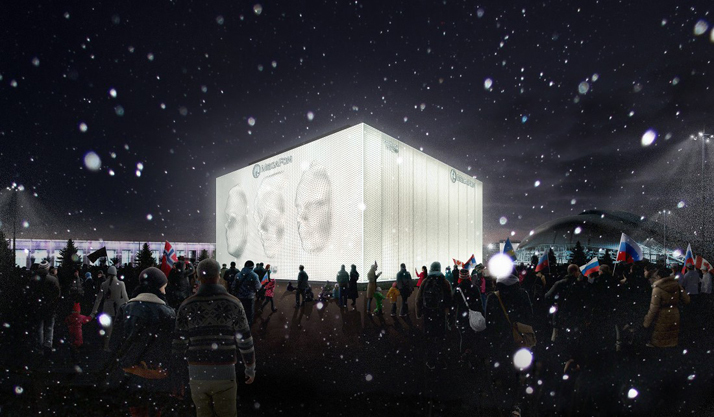 It is made up of over 10,000 actuators which transform the building’s skin into a three-dimensional portrait of each visitor’s face. 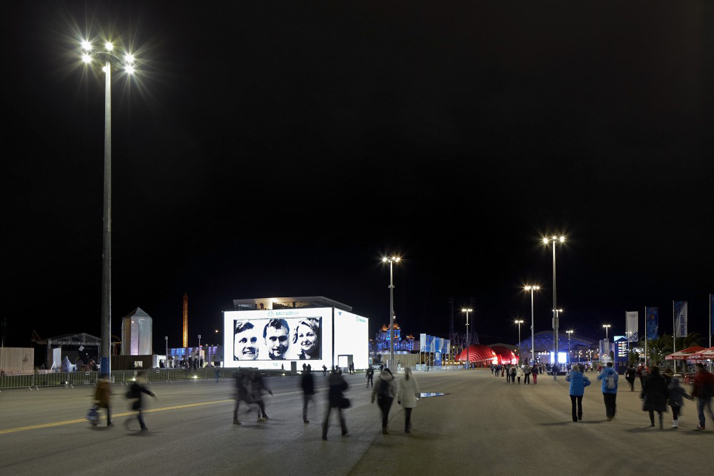 The structure is sited at the entrance to the Olympic Park, and incorporates an exhibition hall, hospitality areas, a rooftop viewing deck, an amphitheatre and 2 broadcasting suites.